The Canon 6D Mark II has not been the most well-received camera thus far. But how does it actually perform, and are the complaints justified? The initial complaints were around the fact that this camera does not shoot 4K video. 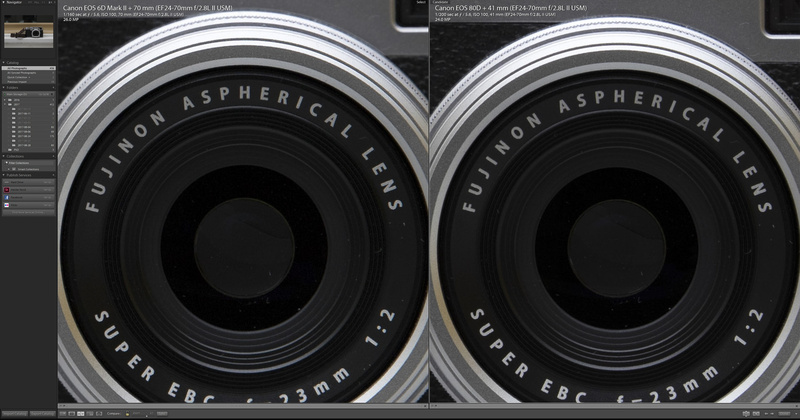 Discussions then moved on to its dynamic range and how it underperformed even against APS-C cameras. The most recent complaints are around the fact that its performance at higher ISOs may be worse than the original 6D. Personally, my biggest gripe about this camera is the fact that it only has one storage slot. This one individual point makes it less viable in a professional setting for me, however this may not bring as much concern to shooters upgrading from the original. The 6D Mark II has been referred to as a bigger Canon 80D and for good reason. There are a few minor differences between the two cameras except for the sensor size and price tag. 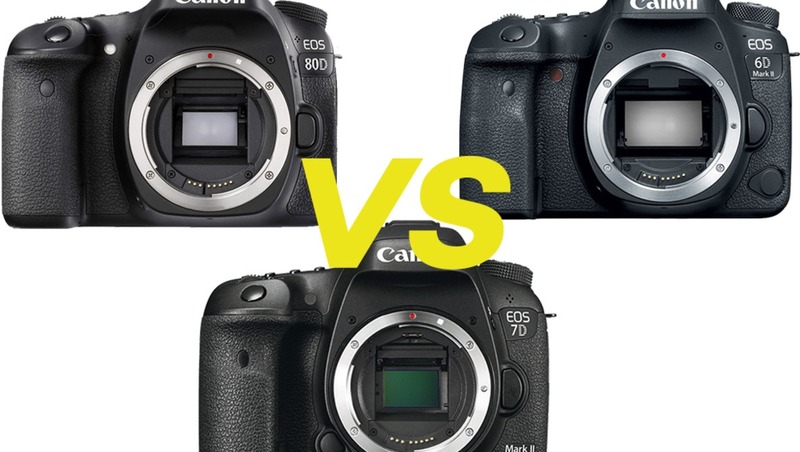 The Canon 7D Mark II sits in between the 80D and 6D Mark II when it comes to the price and for that reason, it's viable to compare these three to one another. How a camera feels in the hand is actually very important and can determine a major part of usability. When comparing cameras this feature tends to get overlooked, but I find it to be a very important point. The 7D Mark II has by far the best ergonomics between the three. The deep grip and the rubber placement on the camera makes for a very comfortable experience. The 6D Mark II is noticeably worse in the hand. Although the grip is deep enough, on the back of the camera the rubber placement is lacking. Due to this, I found the camera slipping very often, especially when using bigger full-frame lenses like the Canon 24-70 f/2.8L II. This may seem like nitpicking but after about 20 minutes of holding the camera, it becomes a big enough problem. The 80D seems to have just about enough rubber on the back of the camera and is light enough for this issue to not be a problem. 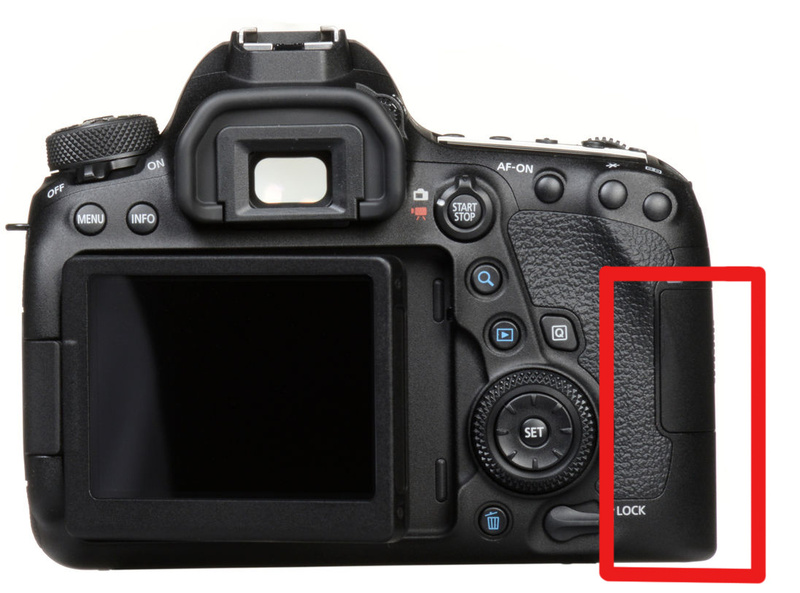 The Canon 80D has slightly more rubber near the lock switch. Button placement on the 6D and 80D are good enough for most circumstances, however the lack of a joystick is disappointing. The flip-out touchscreen, on the other hand, does make up for many of the other drawbacks. The only thing missing from the 7D Mark II is the flip-out touchscreen. Dual pixel autofocus is just not the same when without a touchscreen. From all three cameras, the 7D Mark II has the best focusing system. It's fast, effective, and the focus points are generously spread across the frame. The 80D comes in at a close second, and last and least effective is the 6D Mark II. 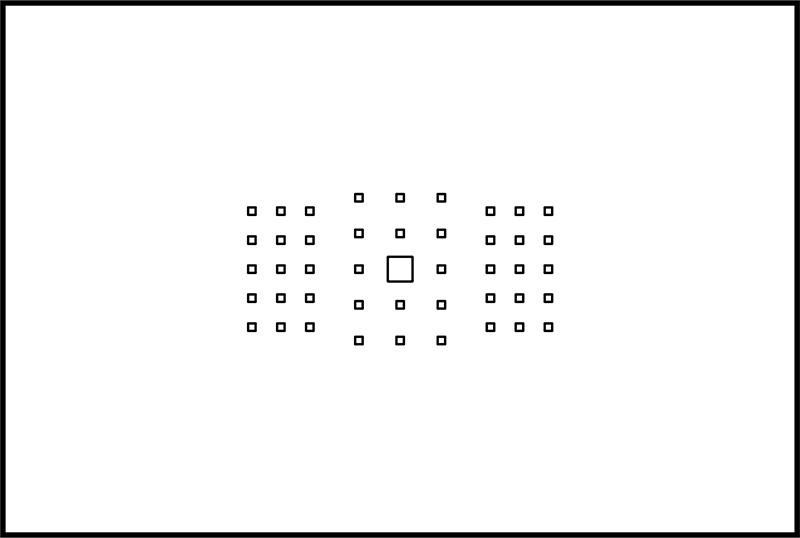 The focusing system in the 6D is seemingly the same as the 80D, which means all of the points are clustered towards the center of the frame. This makes off-center composition very difficult and in my testing I found myself using focus recompose for most of the shots. Shooting at wide apertures and nailing focus with this method can be very difficult, meaning that many images may turn out slightly out of focus. To make matters worse, the 6D Mark II does not have 100 percent viewfinder coverage like the other two, therefore focusing and composing is more challenging. 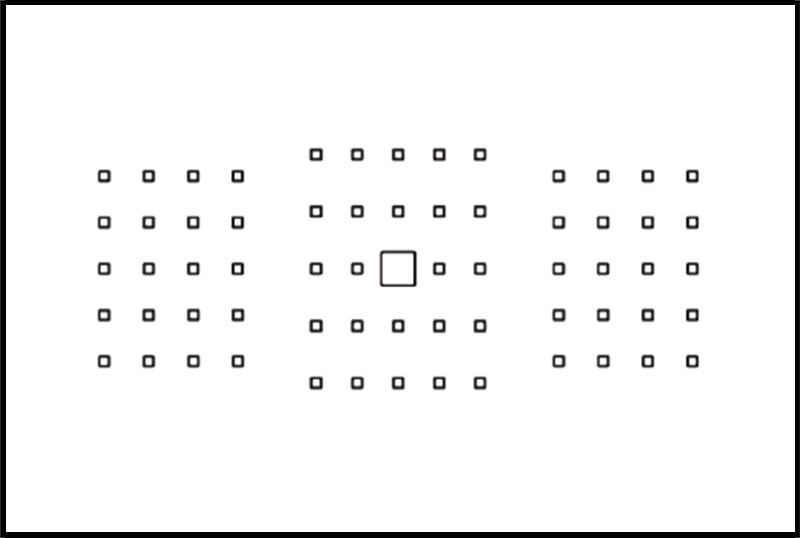 80D versus 6D Mark II (above). 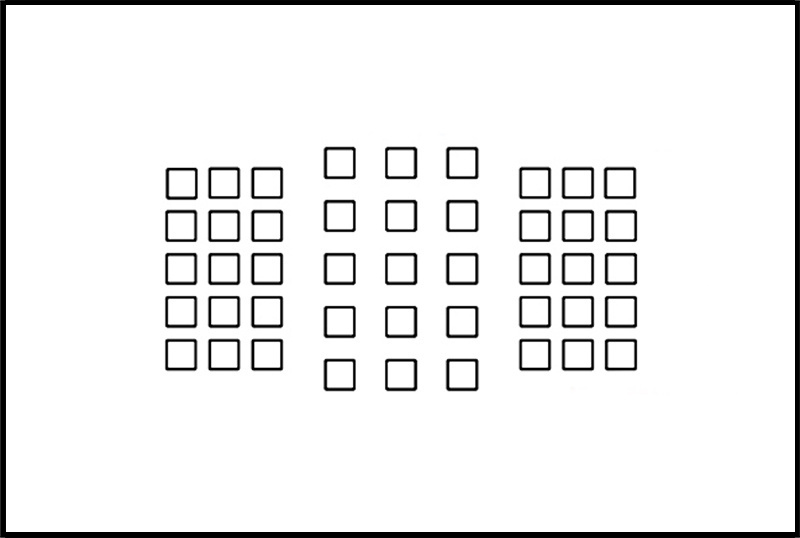 7D Mark II focus points. The 6D Mark II does, however, manage to find and nail focus very quickly, even in low light scenarios. I found this to be very impressive, and although the other cameras didn't really struggle, the 6D just seemed to be a bit quicker. Shooting in live view with the 80D and the 6D was a very pleasant experience. Touch-to-focus coupled with the amazing dual pixel autofocus from Canon made the whole thing pretty effortless. The 7D Mark II does well to focus in live view due to having the same kind of system, however, without a touchscreen, dual pixel auto focus just seemed a little ineffective and half-baked in comparison. Although it is an older camera, it is still a current camera and a potential for many when deciding between the three. There's very little between all three cameras when shooting in ideal circumstances. 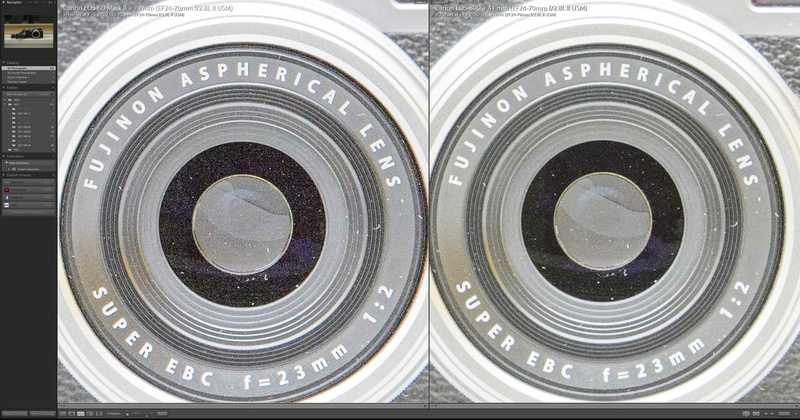 One could expect a significant difference in image quality between full-frame and APS-C cameras, however there isn't much of a difference when put to the test. In my testing I found the 7D Mark II to be consistently sharper than the other two even when shot from the same distance with the same framing. I didn't, however, get a chance to extensively explore this point. The thing to take away from this is that when it comes to detail and sharpness, the differences are negligible and very difficult to tell apart. If you do shoot in controlled environments with the aim to get the best image quality, any of these cameras will perform adequately. 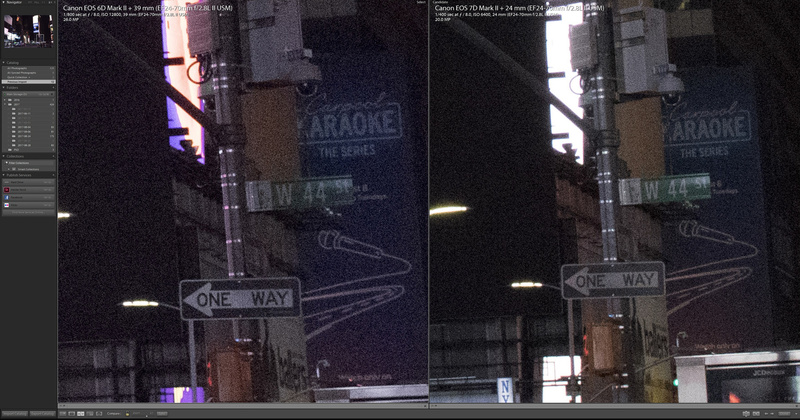 Dynamic range has been a cause for concern with many people considering this camera and in my testing, I was able to confirm that the 6D Mark II was noticeably worse than both the 7D Mark II and 80D at ISO 100. The 80D was the cleanest out of the three in recovered shadows and the 6D Mark II was the worst. The difference may not seem significant when looking at the results, but considering the 6D is a newer camera with a full-frame sensor at double the price of the 80D, the result is disappointing. So far much of this article has been negative towards the 6D Mark II, however there are a number of redeeming features for the 6D. The fact that is it a competitively priced full-frame camera with a flip-out touchscreen is a first for Canon. Having a flip-out touchscreen is extremely useful and can help you get shots that may have otherwise been extremely difficult or not possible. The full-frame sensor also means you can use all of the amazing high-end glass available to the format at its full potential. The other thing to consider is that the 6D Mark II is also much better in low light compared to the 80D and the 7D Mark II. If you need that high ISO performance the 6D will be a much better option as it is a full stop cleaner than the other two. The 80D at ISO 6,400 is slightly noisier than the 6D Mark II at ISO 12,800. The fact that the 6D Mark II is better in low light compared to the 80D and 7D Mark II is not enough. The reason is that there are several comparisons online that show the original 6D outperforming the current one by a full stop at high ISO. Also for the APS-C cameras, it's very easy to get that stop of light back simply by using a faster zoom lens like the Sigma 18-35mm f/1.8. With that lens, you can shoot at ISO 3,200 instead of 6,400 and get a similar level of performance. 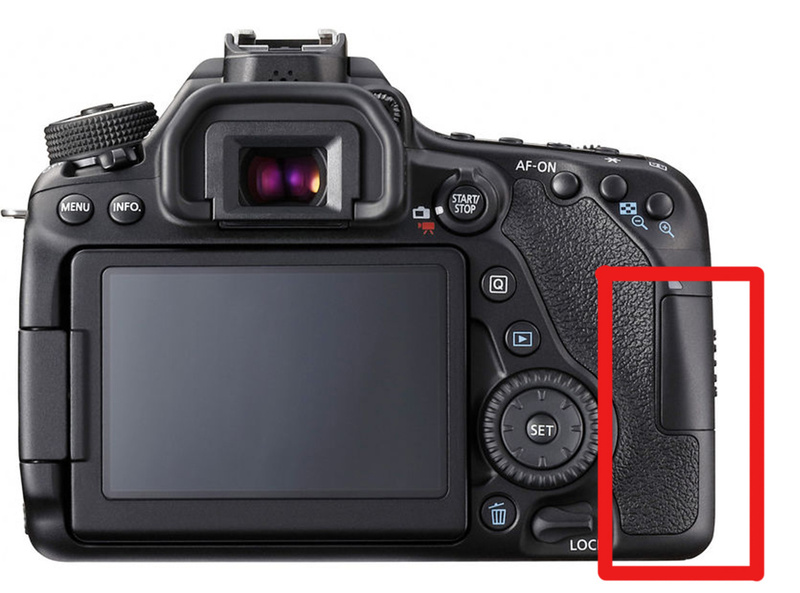 The 6D Mark II is also missing a headphone jack meaning that its advantages over the 80D are minimal. 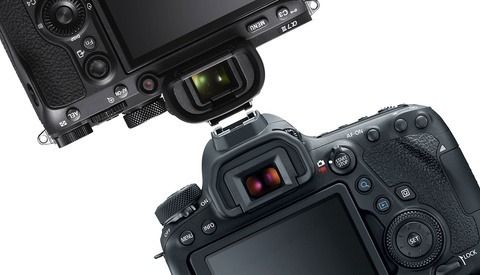 The image quality between all three cameras are so similar which begs the question, why would anyone want to buy the 6D Mark II over the other two cameras. The 7D Mark II is a far more professional and effective camera, the ergonomics, dual card slots, image quality, faster burst rate, and buffer make it a far better option at a much cheaper price point. 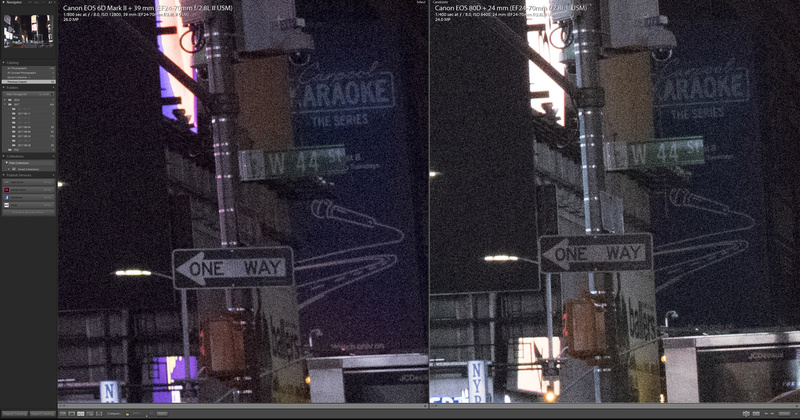 The extra 25 percent in resolution from the 6D Mark II isn't much of a difference especially when you can use the crop factor as an advantage. The camera is built for the professional photographer and if you earn a living from your work the 7D Mark II is a much more viable option. The 80D, on the other hand, is essentially the same as the 6D except for the smaller sensor and the addition of a headphone jack. At half the price one can quite comfortably buy an extra couple of lenses or accessories and produce similar or even better results in comparison. This unfortunate circumstance makes the 6D Mark II a disappointing release from Canon and the complaints about it are, for the most part, justified. Canon should be ashamed to put out 6D Mark II. Correction: Canon should be ashamed that they released THIS as the 6D Mark II. :-D The concept of a 6D Mark II is a spectacular idea... the implementation was horrific, though. I have the 7d2 for wildlife and was looking to get a camera for landscape (two body system). The sigma 18-35 art is by far shaper than the used 24-70. I guess I'll just save for the 5d4. The 7D2 is such an awesome camera I really enjoyed using it. Good choice Kyle. I think the canon 24-70 mark II might be sharper than the Sigma but I haven't compared the two might be something for me to do later tonight :). Yeah I am just basing that off dxomark. I know some people don't like the website but its pretty consistent with reviews. A lot of the times, a FF on a DX, tends to be softer. I would like to see those side by sides. End of the day love the camera and it delivers. I've had it since day of release. So I'm ready too see what they do with the 7d3 next year. Having a 6D I was looking forward to the 6D2. However I had the 80D for almost a year and I found that camera to be a great disappointment especially the Af. I consistantly got sharper images from my Eos m3! Thus the comment in the article where you stated that the 7D2 consistantly delivered sharper images than both the 7D2 and the 6D2 made me wonder if its not the shared AF module thats the culprit ? On top of the DR and high iso noise issues maybe having my 6D serviced and cleaned and keeping it for a few more years is the more logical option? AF is the same from the 80d. 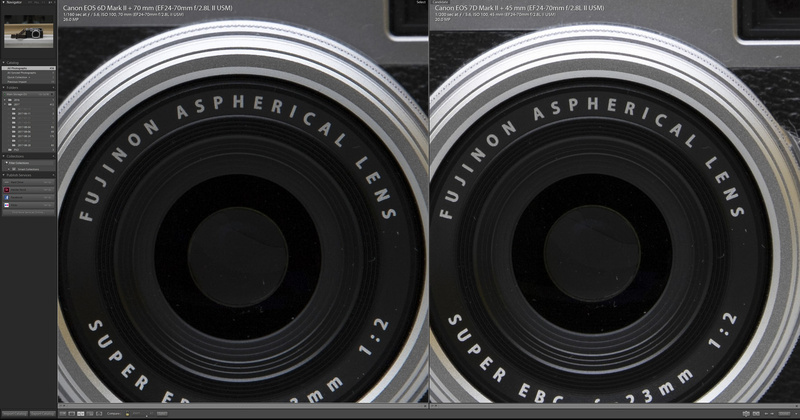 Though that wont change actual sharpness output and rendering when focus is nailed. Your hit rate is just lower with the 6d2 compared to the 7d2. 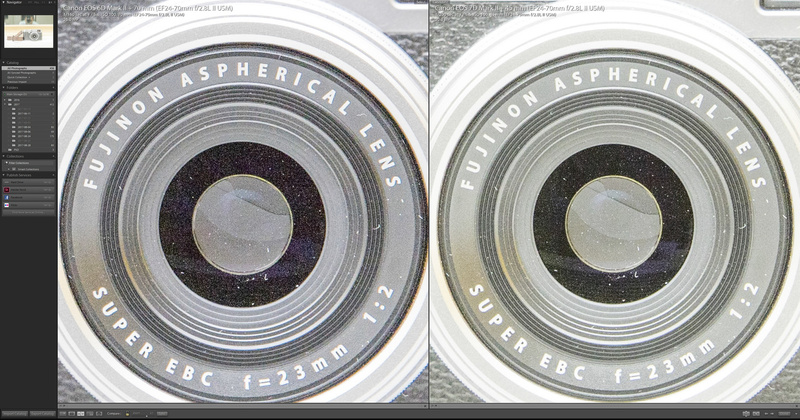 From the testing the 7d2 will always be shaper (from this testing). Have you looked at the 200D, it's actually pretty impressive. These are all great cameras but I don't see the use of comparing them directly. They are completely different cameras all with different intended uses. Am I the only one disappointed with the 6D ii though? Normally that would have been true but considering how well the 80D and 7D Mark II perform against the 6D II it's actually quite useful to compare. It seems a lot of people are disappointed with the 6D II, the current APSC cameras seem to outperform it in several key areas. 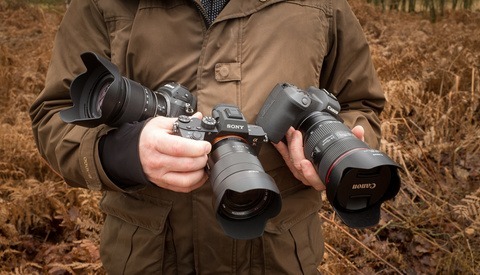 Maybe I'm just not a fan of lens charts and side by side comparisons.You make a great point highlighting how well crop sensors compare full frame cameras, that should be the title of the article. I'm really happy with my 7D Mark II camera for sport and wildlife shots. I've used it for other settings like weddings and other events. I looked at switching to other brands and possibly getting a mirror less camera, but I wanted a fast, tough and reliable camera to take sports and wildlife shots. I upgraded from a Canon 1000 D to the 7D Mark II so didn't need to invest in new lenses and flash gear. However, I'm looking to upgrade my 18-55mm and 55-250 mm kit lenses on this camera. The 7D Mark II camera is fast and packed full of technology. Likes: 1) 65-point fast focus system & the 100% viewfinder, 2) quick 11 frames per sec burst rate and 3) dual card slots. The camera is weather sealed, solid and well built. I've taken some nice shots of my kids playing soccer with plenty of images in focus and keepers. Dislikes: it's a bit hard to see the light meter in the viewfinder when using manual mode, particularly in bright conditions and it doesn't have built-in WiFi but I can live with this. It doesn't have a flip out screen but not a deal breaker for me. Overall it's a quality camera with pro-features and I highly recommend it. I immediately took a liking to the 7D II it's such a great camera. I think it does need updating but even now it's holding its own against some of the new cameras from Canon. The build is amazing it's definitely one for the Pros. Good to see we share an interest in using the 7D II. 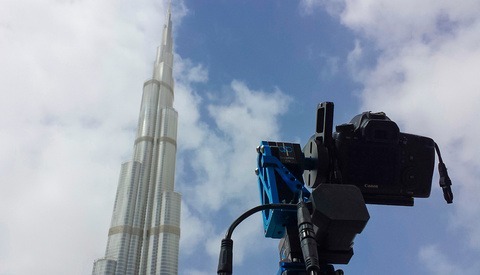 It's a fast and powerful pro camera, affordable and good value. I agree it will need to be updated down the track. It will be interesting to see improvements made to the 7D Mark III. If you combine this camera with a quality glass lens it's an even better match. I have been thinking about getting the 80D as an upgrade from my older T5, but it seems that it would be a better option to spend a little more to get the 7D MkII. Excellent write up, thank you. If you can get a good deal on the 7D II and depending on your requirements I absolutely recommend the 7D II. Thank you so much the comment, I really appreciate it Dave. Doesn't the 80D suffer the same focus problem at the center point that the 70D does? I'm not certain I know of that problem, can you elaborate, please? I'm pleased to see so much good press about the 7D2 after DPReview summarily trashed it upon its release. I've had two of them and they are a workhorses with very good IQ. The one good thing about the 6D2 is that I grabbed a used 6D1 recently for under $800 and it's a good FF backup with IQ that's arguably better than its 6D2 younger sibling.